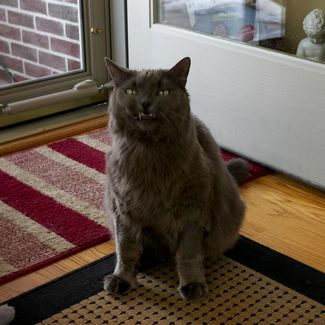 Home Animals My Cat is Sneezing A Lot, Is He Sick? Sneezing, which occurs when the nasal passage is irritated, is a reflex action common to both humans and cats. When cats sneeze, it doesn’t necessarily mean they are sick. There are many reasons cats sneeze, but the best way to know what’s going on is to visit your veterinarian. If the cat’s behavior is noticeably different and sneezing becomes more frequent, seeking the advice of a vet is always recommended. More often than not, when a cat sneezes it means something is wrong. The most common reason for sneezing is an upper respiratory infection. These can be viral or bacterial in nature, and should always be treated by a veterinarian. Many times when cats have these infections, there will be nasal discharge that accompanies any sneezing. The cat’s owner should note the color of the discharge as well as its thickness. Usually the more discolored and thicker the discharge, the more extensive is the infection. Sneezing accompanied by watery eyes and a lack of appetite can mean the cat is also running a fever, and should be examined by a vet. Treatment for upper respiratory infections involves antibiotic shots as well as antibiotic pills or liquids being prescribed. Another common reason for sneezing in cats can be allergies. Cats can be allergic to many of the same things as humans including perfumes, smoke and various plants such as ragweed. In fact, it’s not uncommon for cats to be allergic to some of today’s scented cat litters. With most allergies, cats will not stop eating and display little if any discolored nasal discharge. If allergies are suspected, it’s time to play detective. Try changing cat litters if that may be the cause, and see if the cat sneezes more when around certain perfumes, potpourri or other scented items around your home. If there is a smoker in the house, see how the cat acts when there is no cigarette smoke in the air. If further investigation is needed, a veterinarian can run a series of tests to determine the exact cause of the allergy. Sometimes cats that go outside can get grass seeds or other foreign objects up their noses, forcing them to sneeze more often in an effort to dislodge the object. If your cat is shaking its head or constantly pawing at its nose as if it’s uncomfortable, there may be something in the nasal passage. 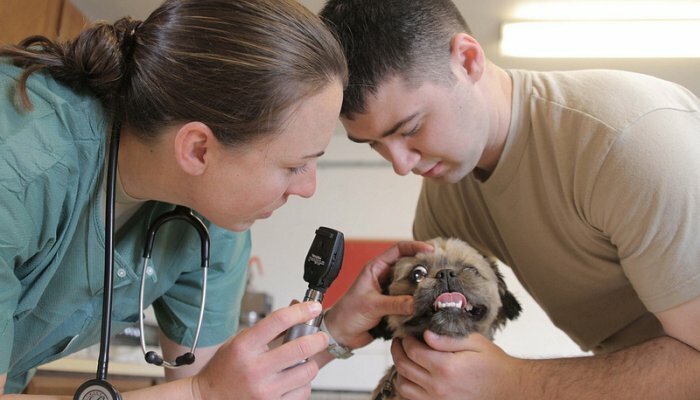 An examination by a vet can determine if a foreign object is present. If that’s the case, the cat will usually need to be anesthetized to have the object removed. Other possibilities when your cat is sneezing include a bad tooth, polyps in the nasal passage and cancer of the nasal passage. A bad tooth is usually noticeable by the cat having trouble eating and crying in pain at times. A veterinarian may be able to pull a tooth without anesthesia if it is loose enough, but most of the time it will require anesthesia to do feline dental work. Nasal polyps must be removed surgically, and if cancer of the nasal passage is detected treatments such as chemotherapy and other drugs can be used to give the cat a better quality of life. So the next time your cat sneezes, take a moment and think about it. If it’s a very small, dry sneeze without watery eyes or nasal discharge there’s probably nothing to worry about. If it continues or is accompanied by other symptoms, a trip to your veterinarian is recommended. When it comes to your cat’s health, using a combination of caution and common sense works best.